About Vintage Chic Painting finishes- All hand painted finishes by Vintage Chic Painting are not only beautiful but meant to last! They are backed by a ONE YEAR GUARANTEE against defect or finish failure. Seems everywhere you look these days there is “cheap, slap on paint pieces” for sale. That is not what our finishes are. We painstakingly prep and prepare before even priming. We only use high quality materials and paints. The techniques and processes we use are professional and have been learned from design schools and other well known national decorative painters. Our hand painted pieces are each a high quality work of art and are truly fine finishes that will add style and beauty to your décor. 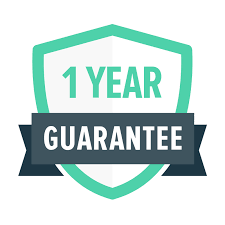 Our ONE YEAR GUARANTEE protects you in the event of a defect or a problem with your piece. Pieces sold and custom pieces and kitchens are covered with the guarantee. This protects against defects and problems like chipping , bubbles, peeling, or cracks. Damage to the finishes is not covered by the guarantee, but we will gladly repair them for you at a nominal charge. Contact us today for more information or to register your piece with us. Painted furniture and cabinets is a great way to add style and beauty and with our guarantee you can rest easy knowing you not only have a quality high end finish but it is backed up and protected! NOTE: For guarantee to be valid you MUST register your piece or painting job within one month of purchase, otherwise the guarantee is void.